The real estate market in Cape Town's Southern Suburbs has undergone more shifts during the last 12 months than in the previous five years and, with numerous emergent trends significantly impacting the market, it certainly epitomises the cliché which purports that we live in interesting times. Just 18 months ago, there was very limited stock of entry-level and mid-market homes in suburbs like Lakeside and Kirstenhof, and these homes generally sold in a matter of weeks, often within days, however, it's now a very different scenario. This is according to Dawn Bloch and Lee-Ann Davis, Partner Area Specialists for Lew GeffenSotheby's International Realty, who say that in the past there were seldom more than eight homes for sale in either suburb at any given time, but the number has quadrupled this year. 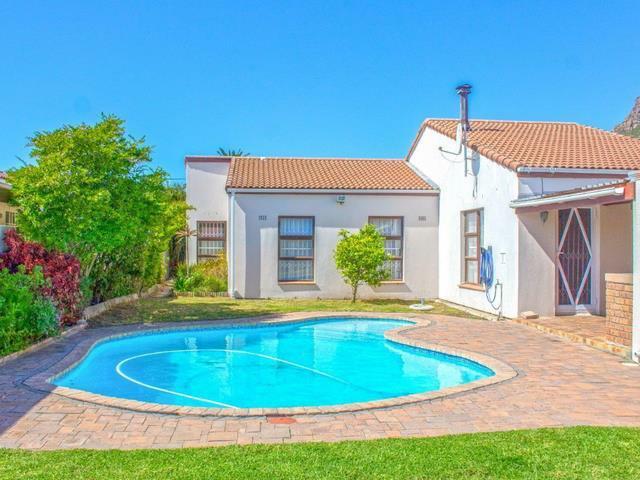 "There are currently 29 homes on the market in Lakeside and 38 in Kirstenhof, with new listings appearing almost daily. Properties are taking much longer to sell, even those which would previously have been snapped up," say Bloch and Davis. They attribute the current market status to numerous factors, including the recession, which has seen consumers tighten their belts even further this year, prompting many homeowners to downsize or sell up in an effort to reduce monthly expenses, as well as the ongoing political uncertainty. "Five of the properties we recently valued for listing early next year are being sold because the owners are moving abroad. We're also receiving more requests for both sales and rental valuations, with properties often simultaneously marketed to broaden seller's options and afford them time to decide between disinvestment and retaining their asset," say the agents. "There is also a lot of nervous sentiment surrounding the land expropriation issue, especially now that the Joint Constitutional Review adopted a recommendation that the constitution be amended to allow for appropriation without compensation." According to Specialist Immigration and Citizenship Law Attorney, Stefanie de Saude-Darbandi, growing uncertainty about the country's future and intensifying socio-economic issues have precipitated a spike in emigration, with experts predicting record-breaking figures this year. "The number of homeowners citing emigration as their main reason for selling has been rising steadily in recent years, and, according to the August FNB House Price Index, this percentage spiked during the past 24 months, jumping from 4.6% in 2016 to 7.5% by August this year," says de Saude-Darbandi. She says the main concerns fuelling the trend and driving the numbers are safety and security, the dwindling economy, lack of job opportunities, the deteriorating education system and new punitive tax laws promulgated in 2017. Bloch adds that a number of homeowners have indicated that they are biding their time until the 2019 elections, but if the outcome isn't promising and the political uncertainty continues, they expect the emigration trend to escalate next year." According to the partners, there is still discernible buyer interest, which is clearly demonstrated by regularly well-attended show houses and the number of hits on their website, but, for the most part, the keen interest is not translating into sales. "There is definitely a lack of intent from serious buyers, who have adopted a wait-and-see attitude until after SONA, the 2019 budget and May elections." They have also noted a significant increase in the number of private sellers who are hoping to save on commission, but say that relatively few have concluded successful sales. "Property transactions are not as simple as one might imagine, and the actual exchange of money and goods only happens at the end of a lengthy and complex process that requires more than a nodding acquaintance with diverse fields including marketing, legal procedures and finance." However, despite the mounting negativity, Bloch and Davis say they are encouraged by the number of young South Africans returning from abroad who are looking to buy property in Cape Town. "And, although homes are undeniably taking longer to sell this year, there are still certain properties that will find a willing buyer within a reasonable timeframe, especially new, low-maintenance properties that require no renovation and are priced below R2 million," say Bloch and Davis.